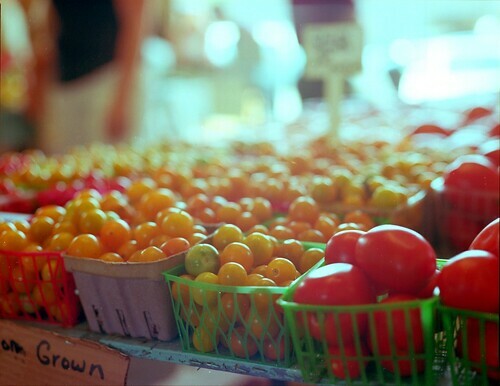 Springtime means its finally time to hit the farmers markets again. Here’s a quick overview of some need-to-know market terms and a guide to the top five Chicago neighborhood farmers markets. Article courtesy of Magellan Development. Farmers’ markets are a wonderful opportunity for restaurants, chefs and local businesses to showcase their talents and creativity in the food industry. With the summer being the ultimate debut for growing season, it’s time for us to put away our frozen pizzas and move on to better, greener things. If you and your friends rent apartments in Chicago, it’s time to explore the fruits and vegetables of the earth and experience some of the city’s premier outdoor food displays. Before you take on the markets, lets learn the lingo. Locally Grown: Agricultural products labeled “locally grown” are produced, processed, and sold within a certain region-defined by distance, state border, or regional boundaries. The term is unregulated, meaning that each individual farmer can define the term based on their personal mission and circumstances. Supporters of local businesses have argued that, organic or not, buying local is better for the environment because off-season organic foods have to travel long distances, using oil and fuel and increasing CO2 emissions. Local produce may also taste better because they are able to be harvested later and arrive quicker, ensuring that you are eating the freshest foods. Naturally Grown/All-Natural: If agricultural products are labeled “naturally grown” or “all-natural”, it means they meet the USDA guidelines, which state all “natural” meat and poultry products can only undergo minimal processing and cannot contain artificial colors, artificial flavors, preservatives or other artificial ingredients. Organically Grown/Certified Organic: Similar to “all-natural”, if any product is labeled “organically grown” or “certified-organic”, it has to meet the USDA National Organic Program production and handling standards. This regulation states that certification is mandatory for farmers selling more than $5,000 of organic produce per year, and includes annual submission of an organic system plan and inspection of farm fields and procession facilities to verify that organic practices and record keeping are being followed. So what are some of Chicago’s best farmers markets and what makes them unique? 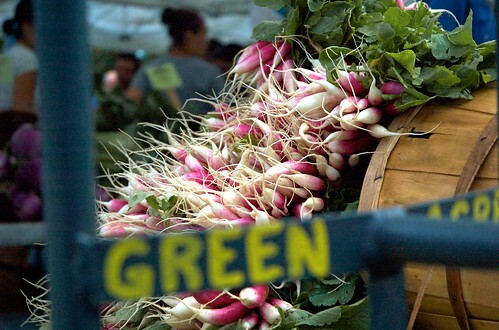 1) Green City Market is Chicago’s only year-round farmers’ market promoting local, sustainable farmers, producers and chefs. 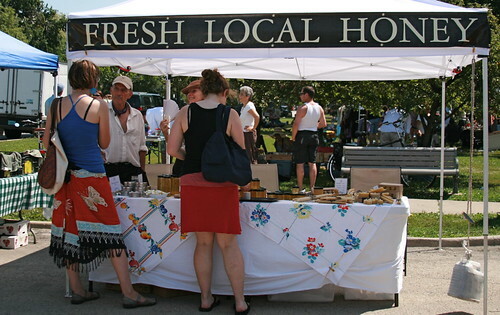 The market also combines educational programming and special events, featuring cooking demos by renowned local chefs, children’s educational programs, farmer workshops, as well as offering scholarships to encourage farmers to attend Chicago conferences to bring more high quality, locally produced foods to the city. 2) Lincoln Square: The mission behind this market, displaying a smorgasbord of fresh fruits, vegetables, plants and flowers, is to enhance the life of the Lincoln Square community by creating both a social opportunity to gather and interact as well as an opportunity to support sustainable farming practices. 3) The Logan Square Farmers Market is an independently run event open to the public every Sunday, beginning on June 5th. This year’s vendors features an array of Chicago gems, including Cook Au Vin: a neighborhood bakery featuring sweet and savory crepes, Herbally Yours: a micro regional, family owned/operated herbal business located in Willow Springs, Illinois, Majestic Nursery, Inc.: a northern Illinois grower focused on sustainability and environmental responsibility, Roedger Bros. Blueberries: purveyors of fine Michigan blueberries – any many, many more! 4) The Andersonville Farmers Market offers a full entertainment experience, highlighting local, sustainably grown produce, honey, cheese, wine, fiber, live musicians, family-focused activities, chef demonstrations, coordination with local school programs and much more. 5) City Farm Market Stand is a sustainable vegetable farm offering a unique location that borders two very diverse Chicago neighborhoods: Cabrini-Green and the Gold Coast. The farm boasts thirty varieties of tomatoes as well as beets, carrots, arugula, gourmet lettuce, herbs and more! All produce is grown in composted soil generated from various sources, such as restaurant trimmings from some of the city’s premium kitchens. 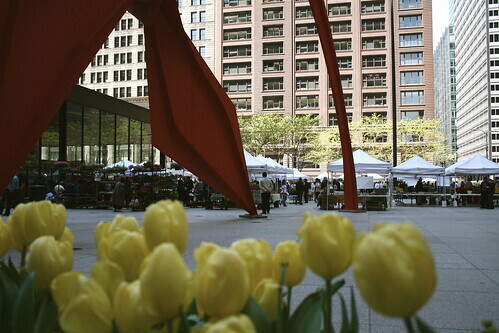 Check out this full list of Chicago Farmers Markets listed by day.